1Price includes all rebates incentives and dealer discount. May or may not include additional incentive to finance with GM Financial. Tax, title, license and dealer fees(unless itemized above) are extra. Not available with special finance or lease offers. Price is subject to change any time at dealer discretion. Contact dealer for details. Courtesy Broussard Chevrolet and Cadillac is a Lafayette, Baton Rouge, Lake Charles, Alexandria, and New Orleans supporting dealer. Tax, title, license (unless itemized above) are extra. Not available with special finance, lease and some other offers.Not available with special finance or lease offers. Take delivery by 04-30-2019. 2Excludes base models. Monthly payment is $16.67 for every $1,000 you finance. Example down payment: 19.9%. Must finance with GM Financial. Some customers may not qualify. Not available with lease and some other offers. Take new retail delivery by 4/30/2019. See dealer for details. 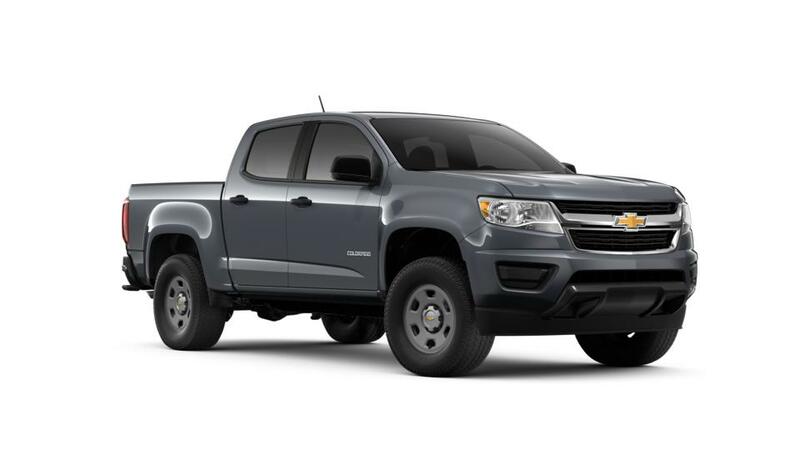 Why do so many Broussard drivers go with the Chevy Colorado? The Chevy Colorado is a well-performing mid-size truck with a good amount of power. This truck can tow up to 7,700lbs. and has an available 308hp, so it can manage tough jobs. You’ll be connected and enjoy a smooth ride with built-in Wi-Fi and a cabin designed for reduced noise and vibration. It has good fuel economy for a truck, saving you on gas. Browse our inventory of new Chevy Colorado vehicles in Broussard to find the color and features you require. Also be sure to check out our special offers on the Chevy Colorado. For extra info on a Colorado test drive, contact us at 337-446-2269.